Join us for the launch of What Moves Us: The Lives and Times of the Radical Imagination on December 7 at Glad Day Bookshop. Issue 19 launches in Toronto on September 8, 2017. UTA is pleased to co-present the workshop “Writing While Black: Exploring Urgency, Access, and Intersectionality” as part of Mayworks 2017, facilitated by Whitney French. Two new books for review! 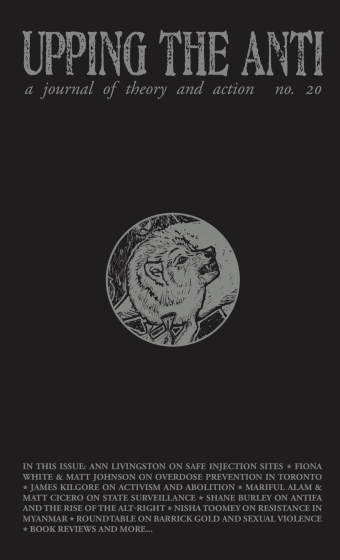 Emergent Strategy: Shaping Change, Changing Worlds by adrienne maree brown and Anti-Book: On the Art and Politics of Radical Publishing by Nicholas Thoburn. 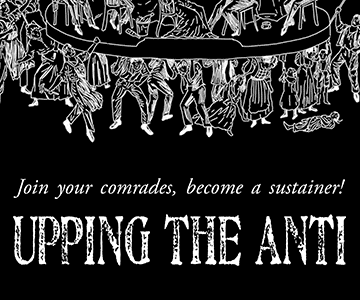 We’re organizing the next issue of Upping the Anti! We are calling on all activists and writers to share lessons learned through organizing! Deadline for pitches is May 1, 2017. Subscribe to our low-traffic mailing list to hear about upcoming events and new online content.